Suspension files usually come in one of two popular but similar sizes. The most popular size the people use is Foolscap. 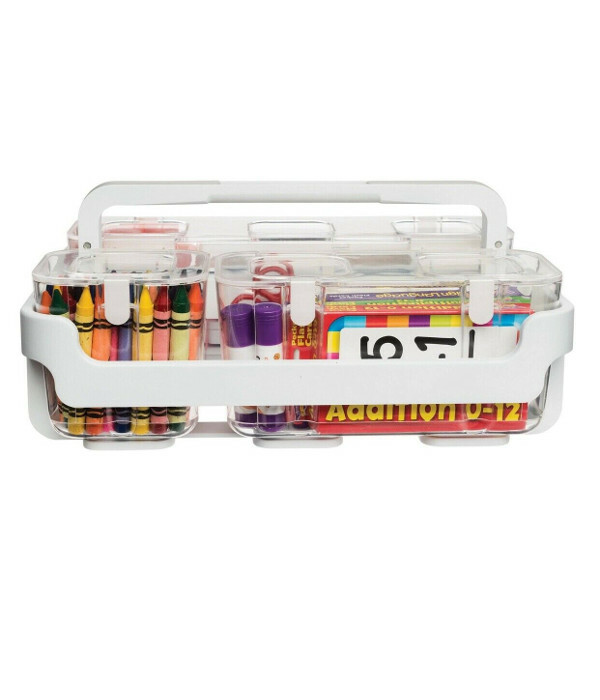 This is larger than A4 paper and allows loose leaf filing to be easily stored without having to perfectly line up all your pages. The A4 sized suspension files are just a few millimetres larger than A4. This saves space but means that pages do need to be aligned to stop the edges hanging out the edge of your file. If you have a file handy, measure the width of the cardboard on the file. If it measures to 360mm (14.1 inches) then you are using foolscap. A measurement of 305mm (12 inches) would be an A4 size suspension file. Without a file available, you can measure the distance between the rails. A foolscap rail distance will be about 390-400mm. 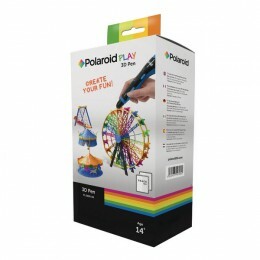 For A4, the distance will be around 340-350mm. It is important to order the correct size of file. Since the file is slightly larger when in Foolscap size, the runners are slightly further apart. This means a cabinet designed for Foolscap files will not accept A4 and vice versa. Some desk pedestals allow either Foolscap or A4, however they do this by allowing the Foolscap one way in the drawer and A4 at a 90-degree angle. Although you have a choice which size of file to use, you can only use one or the other since once you have fitted one file in one size, the other size will no longer fit. Here, we have both sizes of file in an illustration. 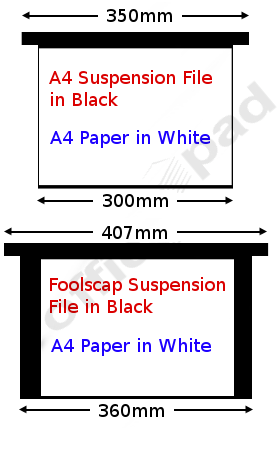 The black shows the size of the suspension file and the white rectangle is an A4 sheet of paper. This illustration is to scale.